The UK political environment is currently in a major state of flux. 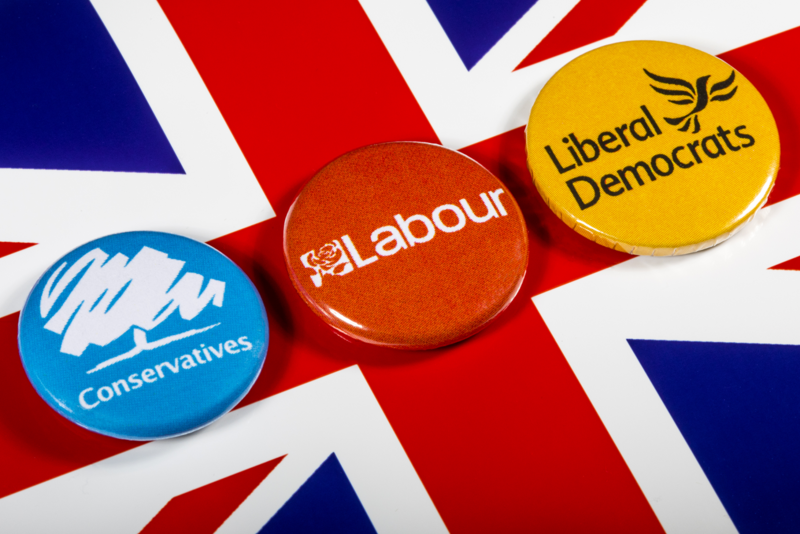 Only a year after the Brexit vote, Prime Minister Theresa May’s decision to call a snap election this year led to her losing her parliamentary majority and the revival of Labour, a party which many had consigned to the history books. While Labour failed to win the election outright, the story of how they turned this election around is one of the most remarkable marketing fightbacks in modern political history. How did they do it and what can we as marketers learn from it? Digital campaigning methods are nothing new in politics but parties in the UK have traditionally focused mainly on direct mail and doorstep and telephone canvassing to communicate with (mainly older) voters. The closeness of the Brexit vote changed the rules. Suddenly a new generation was mobilised, realising that coming out to vote could make a difference to the result. Now the parties had a whole new group of voters to engage with. Labour needed to smarten its act on digital campaigning. The party has historically held a voter database listing personal contact details, issues each voter cares about and which political party they plan to vote for (if the voter has given the party this information) which they have used to send targeted flyers and leaflets in the post. For the 2017 election they brought in a sophisticated new social media tool called Promote which linked Labour’s huge voter database with Facebook profiles, enabling the party to target people with Facebook ads on issues they care about. Not only was the party’s ability to microtarget voters impressive, but so was their ability to quickly convert voter communication into advertising. For example, members of the public who verbally raised concerns about the healthcare system to a party activist in the local market square would find their Facebook feed targeted with adverts promoting Labour’s policies on healthcare the following day. Labour also invested considerably in encouraging people to like their official Facebook page in the hope that followers would start sharing material of their own accord, saving the party money in the long run. When people clicked to follow the Labour Facebook page their names would appear when their friends saw paid-for Labour adverts in their feed – essentially giving the impression the followers were endorsing the promoted message. While Facebook offered the party the chance to use their existing data to microtarget advertising, other online channels helped them to target distinct groups. Party campaigners were particularly proud of their decision to invest heavily in Snapchat to target young people. According to a party source, an "I'm voting Labour" image filter was viewed 36 million times by 7.8 million unique users. This helped to drive 1.2 million views to a Labour-built site that helped people locate their polling station. Extremely successful were pre-roll video adverts promoting Labour policies, which appeared on YouTube, local news sites, and on mobile phone games. While Labour spent relatively little on Twitter advertising, the party invested considerably in promoting its hashtag #forthemany. The University of Oxford’s Internet Institute found that the number of posts using Labour-related hashtags dwarfed those of the other parties, making up 62% of all tweets mentioning a specific party. Labour’s revival goes right back to the personality of the leader Jeremy Corbyn, a veteran socialist who spent most of his life fighting for causes he believed in. During the election images of Corbyn surfaced of a politician with little ambition but a lot of passion, attending protests in his youth for anti-apartheid, Palestinian solidarity and gay rights. Regardless of where you stood politically, you couldn’t help but admire the man’s authenticity. This year at the Glastonbury festival, UK’s largest music festival, he was cheered by thousands on the main stage, an act completely unprecedented for a leader of a main political party. Labour’s main slogan for the election was “for the many, not the few” which illustrated the framework of Corbyn’s politics and the programme he offered. For a public tired of austerity, this vision was hopeful, a vote for change and a look to the future. May’s Conservatives on the other hand went with “strong and stable leadership”. May’s campaign miscalculated what the public cared about: they were simply motivated more by change than by stability and the status quo. At the start of the campaign May’s personal ratings were extremely strong. Party insiders made the decision to run the election campaign in a presidential style, with the focus on May as the leader. This was a risky strategy and May lost the bet. During the final week of the campaign the BBC invited all major party leaders to a live TV debate. May, the serving Prime Minister, was the only party leader who did not attend. By contrast, Corbyn did. This did considerable damage to her reputation as someone who was unwilling to engage with the public and the media. Labour fought back at this election. Their story holds many valuable lessons for conventional marketers in how the underdog can come out on top. It remains to be seen if the party can replicate this success at the next election, but certainly the beginnings of a successful political campaign strategy is born.